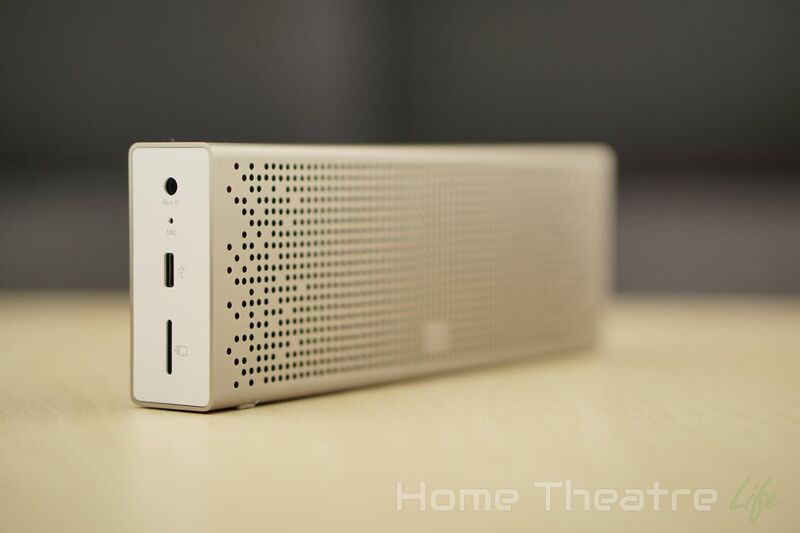 Home Reviews Xiaomi V2 Stereo Bluetooth Speaker Review: Does Lightning Strike Twice? 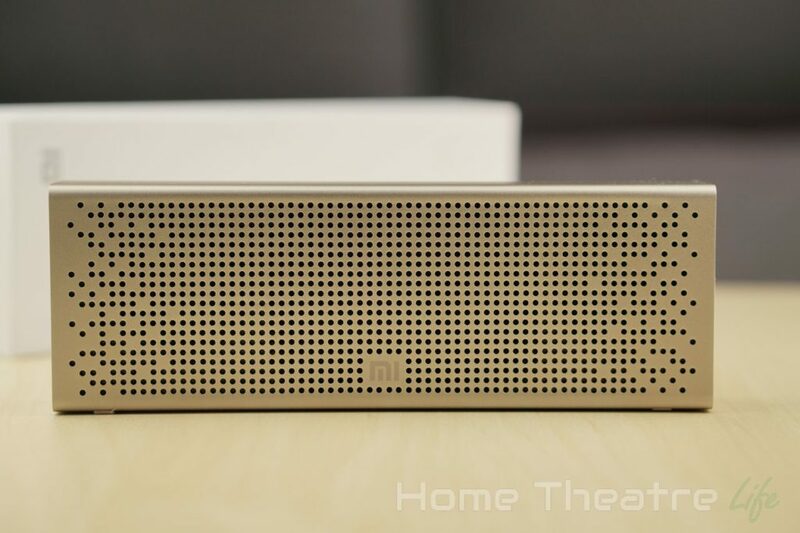 Xiaomi V2 Stereo Bluetooth Speaker Review: Does Lightning Strike Twice? 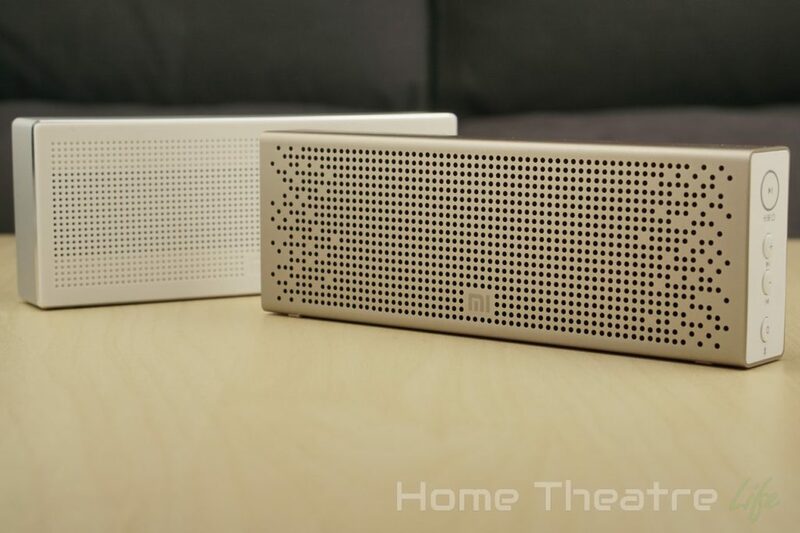 Xiaomi’s new Stereo Bluetooth speaker takes the brilliant original and adds some new features. With a new unibody metal shell, built-in micro SD card slot, AUX In and a microphone, the new model’s certainly addresses the complaints of its predecessor on the surface. But is it any good? 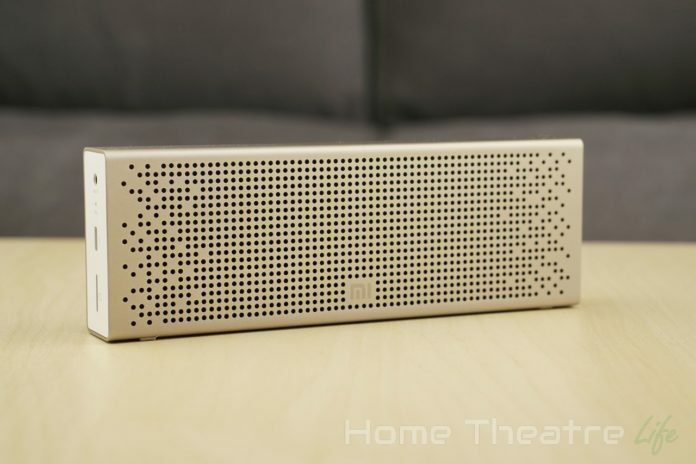 Read our Xiaomi Stereo Bluetooth speaker review to find out. 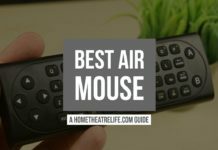 I want to say thanks to GearBest for providing me a sample to review. 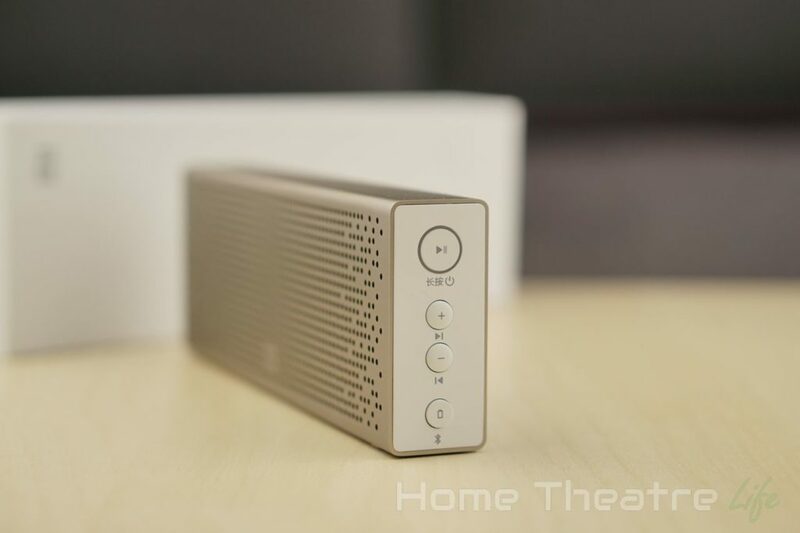 The new Xiaomi Stereo Bluetooth Speaker is perfect for anyone looking for a great quality Bluetooth speaker, particularly if you’re looking for Aux I, micro SD card playback or hands-free capability. It’s great to see the included pouch to help protect the speaker when travelling. However, it’s a shame Xiaomi didn’t include a micro USB charging cable. However, given the prevalence of micro USB, it’s not a massive issue. There’s no charger in the box either but that’s essentially par for the course with most accessories these days. 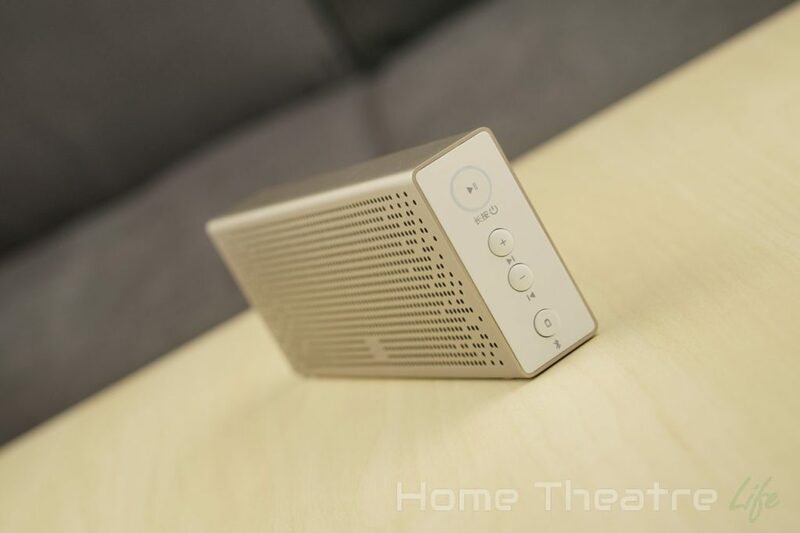 The new Xiaomi speaker is an impressive looking beast. Taking it out of the included fabric sleeve, its sleek unibody aluminium design is striking. The speaker grill has now got a subtle pattern to it which adds character. I’ve got the gold model, but Xiaomi also produce blue, orange and pink variants. It’s a shame that they didn’t opt for a more neutral silver variant too, as the other variants definitely draw attention. The gold is more akin to Apple’s gold iPhone rather traditional yellow gold so it’s not particularly garish, something I was originally worried about. It’s not all gold however, with white ends housing the various inputs and controls. On the left side, you’ve got the 3.5mm aux in port, microphone, micro USB charging port and a micro SD card slot. The right side has the controls: play/power, volume/skip tracks and battery status/pairing button. Each button is clearly labelled, with the icon underneath showing the the function when the button is held down. Underneath, there’s two rubber feet to reduce vibration and movement. They generally did a good job of keeping the speaker still. However, particularly bassy tracks at maximum volume did cause some movement when the speaker was on a particularly smooth table. However, I only had this happen once. In terms of build quality, the speaker feels incredibly well made and finished. After a couple hours after charging the speaker via it’s micro USB port, it was ready to go. The LED ring around the power button flashes white when fully charged. Hold down the power button and a tone indicates that the speaker is on. Pairing is handled like most other Bluetooth speakers, selecting the device from your smartphone/tablet’s Bluetooth menu. 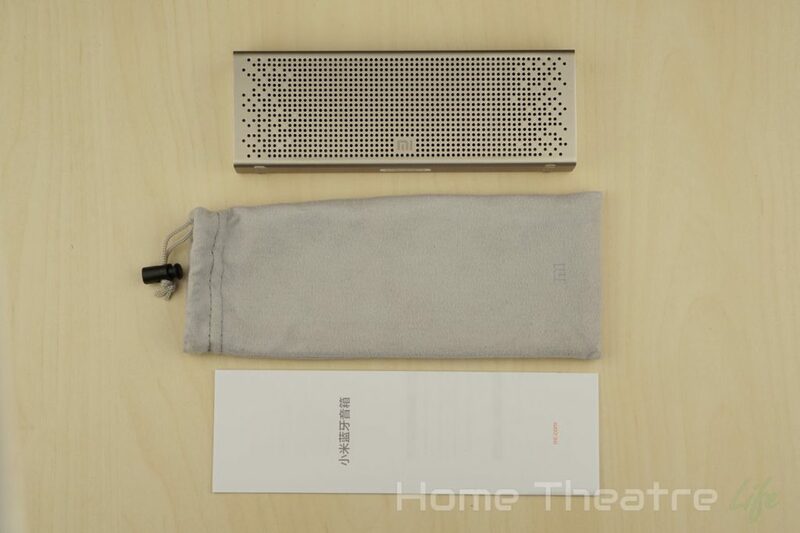 Unfortunately, Xiaomi shows the speaker’s name in Chinese, rather than “Mi Bluetooth Speaker” used in it’s predecessor. I understand the product is designed for the Chinese market but it’s a step backwards for worldwide use. 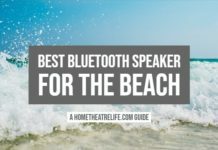 The speaker can only be paired to one device at a time like most Bluetooth speakers. Attempting to pair another device simply times out so you’ll either need to unpair it or hold down the battery status/pairing button to enter pairing mode. After pairing it, you’re good to go. If you’re just using your phone, music playback is like any other speaker. Start playing your favorite tracks and the speaker will pump them out. Music playback can either be controlled via your phone or the onboard controls, with a long press of the volume buttons allowing you to skip tracks. If you’re wanting to play music back via the micro SD card slot or Aux In port, your phone can’t be paired. You use either your phone or the on-board controls to control playback for the aux in and micro SD card respectively. Bluetooth audio always has the highest priority so if you’re playing a track from the SD card and you start playing a track via Bluetooth, it’ll cut over. Seemingly the only was to switch back to the SD card was to disconnect my phone. The included hands-free functionality worked well too. Placing a call from my phone had the call audio routed through the speaker’s microphone. The other party said I was clear although they said there was some minor static which could be due to poor phone reception. Battery life was good, with Xiaomi increasing the battery to 1500mAh over the 1200mAh found in its predecessor. After around 5 hours of music playback via Bluetooth at maximum volume, I still had around 40% battery remaining so 10 hours is definitely in reach, particularly if you lower the volume. Battery life can be checked either using your smartphone’s battery meters (on supported devices) or via the battery status button. However, the battery status is spoken in Chinese so unless you speak it, you’re out of luck. Speaking of spoken statuses, the speaker speaks when the phone’s connected and such but they’re all in Chinese making them useless for English speakers. Thankfully, they’re pretty obvious and common sense so they didn’t affect my enjoyment of the speaker at all. Having reviewed Xiaomi’s previous stereo speakers and their Piston 3 in-ear headphones, Xiaomi clearly know audio quality. Thankfully, the new speaker doesn’t disappoint. Music playback is true stereo, with the left and right channels playing back independently. 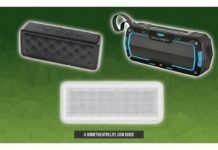 This means you’ll hear music like it was intended, rather than the speaker downmixing it to mono or only playing back a single channel unlike many Bluetooth speakers on the market. The speaker is able to pump out some serious volume, with the drivers being amped up to 3W from 1.8W in the previous model. Loudness is great, with ample volume to fill a medium sized room or for background music in a larger room. Xiaomi have quoted 90db of loudness and my sound meter detected 95db at the speaker. It’s impressive given the unit’s tiny size. Overall audio quality seems to have improved slightly compared to the previous model. Both high and mids sound great and bass seems punchier than before thanks to the large “bass radiator” in the center of the unit. Tracks such as The Midnight Beast’s “Bass Face” offered plenty of bass without sacrificing clarity whilst more delicate acoustic tracks maintained great detail. I didn’t notice any distortion even at maximum volume when listening to my music which was great. If you’re looking for an impressive sounding Bluetooth speaker with looks to match, you can’t go wrong with the Xiaomi Stereo Bluetooth Speaker. It’s not perfect, with the Chinese name and voiceovers not particularly useful for English-speaking users. 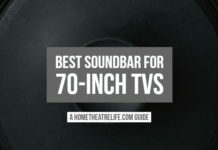 However, with its impressive connectivity options, stylish unibody design and top notch sound quality, it’s definitely worth the $45 price of admission. 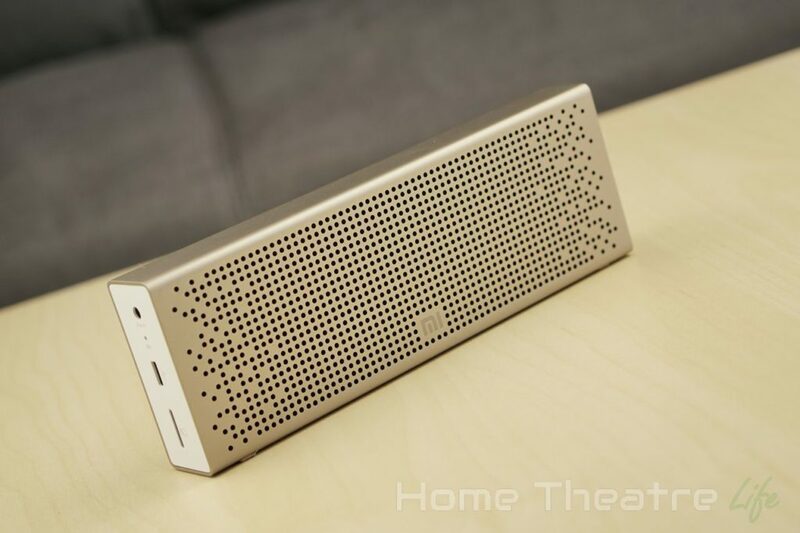 The Xiaomi stereo Bluetooth speaker is available from GearBest for around $45 with free shipping. Alternatively, it’s also available from GeekBuying and Banggood. 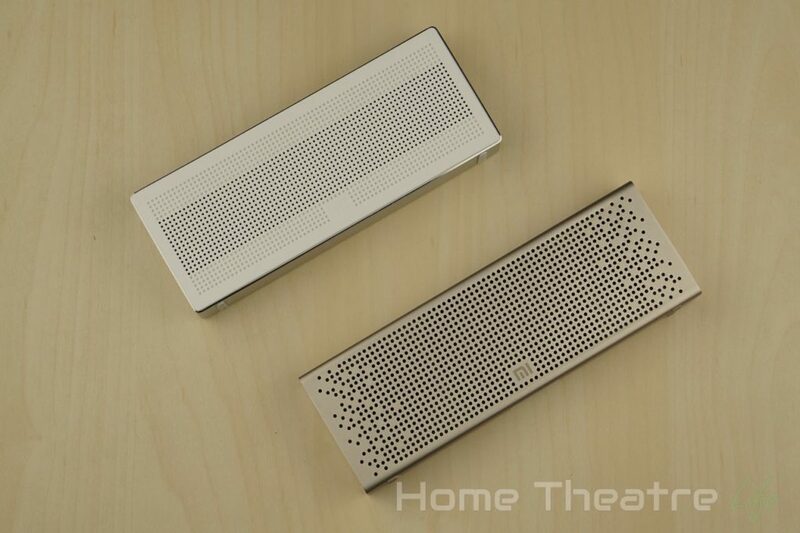 The new Xiaomi Bluetooth speaker is impressive. Whilst it's Chinese name and voiceovers make it less friendly to English users, it's sound quality and design more than make up for it.